Many of my clients tell me at our first meeting following the end of their marriage that they expect to receive back 100% of the inheritance they received during their marriage, because “it was left to me and my partner had nothing to do with it.” I have to tell them that it is not that simple. Step 3 – Assess the future needs of each party. 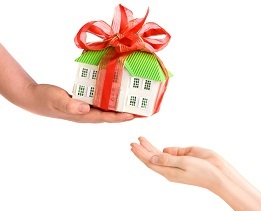 As a general rule, an inheritance received by one party is considered by the Court to be a contribution by the party who received the inheritance. In particular, in respect of inheritances received late in the relationship or after separation, the partner of the party who receives the inheritance will usually be regarded as not having made any significant contribution to it. However, there are exceptions. In a case in May of this year, the Family Court gave the husband a significant portion of an inheritance received by his wife. In that case, the parties had been married for over 20 years and they separated in 2008. The wife received a large inheritance from her mother in 2005 and, when they separated, the inheritance accounted for 97% of their joint assets. The Court recognised that both parties made contributions over the course of the long relationship, but the overwhelming reality was that the majority of the realizable assets were as a direct result of the wife’s inheritance. The Court accepted that the inheritance was a contribution solely by the wife. Notwithstanding that 97% of the assets held by the parties came from the wife’s inheritance, the Court ordered that the husband receive 25% of the total assets, leaving the wife with 75%. 1. You received the inheritance early or late in your relationship (the later you receive it, the more you are likely to receive back). 2. Your partner did anything to contribute to your prospects of receiving the inheritance (for example, where your partner helped you to look after your elderly parent, and the inheritance is from that parent). 3. There is a significant difference in the future needs of you and your partner (for example, where one party has care of minor children). You will generally receive a credit for any inheritance you receive, but the exact nature of the credit depends upon your particular situation. So if a friend ever says to you that you will get 100% of your inheritance back through the Family Court, you can expect that advice to be wrong.